This book is about a young captain who is hastily given his first command of a ghost ship. Its about a first mate who will lose his mind to madness as the malaria sickness spreads without medicine. This book is about a calm sea with not a sigh of a wind to move the ship. 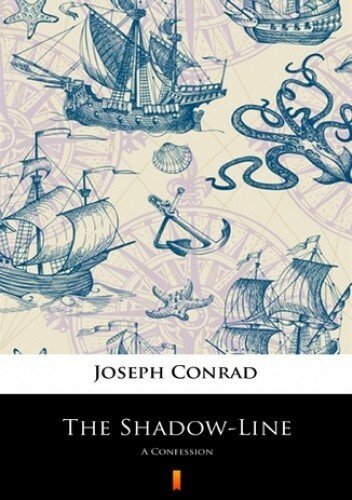 The Shadow Line by Joseph Conrad describes that demarcation line in the journey of life that divides the happy, bright, fantastic and irresponsible youth with the darker ages of manhood. Conrad goes on to delineate this vision as being beyond the charm and innocence of illusions. It isnt an elaborate story, but one that explores that moment, that shadow-line between youth and adulthood. It is a story about maturity, wisdom, experience. And, even though Conrad himself tells us this story is not about the supernatural, a curse and the first captain who died before Conrad took command, tells us otherwise.